Mobile field service offers a world of benefits, but only if implemented the right way. 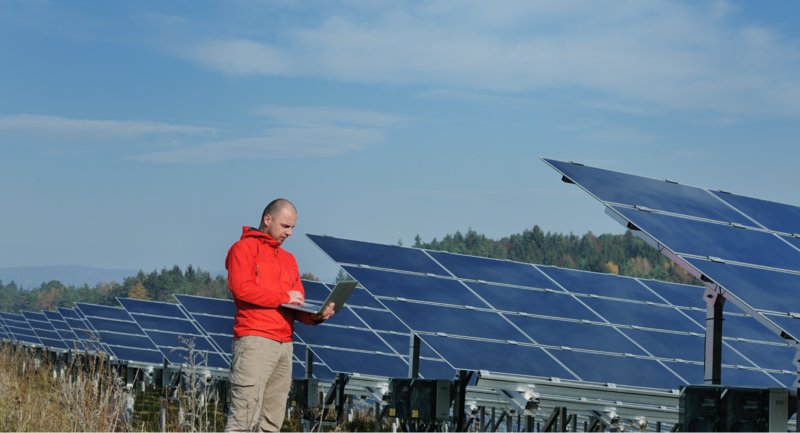 Follow these tips to get the best out of your mobile field service software. The most powerful systems are the most simple. Simplicity does not mean cutting down on essentials. It rather means a clean and neat UI and UX. 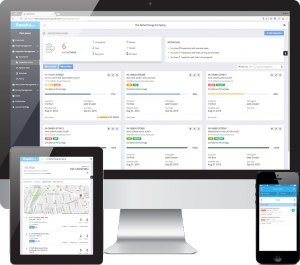 The best mobile field service apps focus on specific tasks for specific users, rather than a hotchpotch of various features and functionality. For instance, a customer support app would have a clear way to contact the customer support helpdesk, raise a ticket, get the status of open tickets, and also track the field service technician on the move, as they proceed to service a client request. The mobile app for the field service executive, would, on the other hand, have a list of all open requests, ways to contact the customer and supervisor, a route map to reach the next service location, and other essentials. Mobile apps are not just another version of the website but are meant to make things simpler and easier. One of the significant advantages of mobile field service suites is productivity and efficiency improvements. Automation of routine tasks is the mantra to such ends. The best field service suite automates everything possible, from capturing data in the background to auto-populating forms, and from dispatching status updates to billing. The field service technician can focus on their actual risks without being bogged down by non-productive clerical tasks. Automated capture of essential information improves accuracy and ensures timely and relevant information to all stakeholders. The resultant gains in the form of productivity gains, improved customer satisfaction and cost savings due to improved accuracy and timely filing of reports and billing payback for the investment in the field service suite in a very quick time. A key method to drive automation is by co-opting emerging technologies such as the Internet of Things and Artificial Intelligence. Such technologies enhance the power of the suite manifold, delivering massive efficiency gains and unlocking many new possibilities. Many field service suites, especially the custom facing app make a big mistake of assuming the users can remain online always. Field service means traveling, and Internet, even though all-pervasive these days, may not be available everywhere, and even if available may be weak or intermittent. The best field service apps offer offline capabilities, allowing users to enter data, and sync to and from the main server whenever a connection is available. Demanding always on internet capability may do more harm than good, but virtually blocking the field service technician from working. Likewise, a good field service management suite is lean and does not place heavy demands on bandwidth. Businesses may be tempted to deploy generic field management suites, which may be purchased off-the-shelf and installed on the fly. However, unless the requirements are very simple and basic, such suites will not deliver the desired gains. For maximum productivity and efficiency gains, the field management suite requires customization to suit the nature of the business. More specifically, the suit has to adapt to the workflow of the business. A suite which expects the business to change its workflow and style of working and reporting relationships, to confirm with a preconceived flow diagram of the software is a recipe for disaster. It forces unwanted changes in the organization, which not only leads to resistance, but such changes may not be in the best interests of the enterprise either. Leaving the task of customizing the field management suite to a team of technical geeks and MBAs sitting in the boardroom is equally disastrous. The best approach to customization is to involve the end-users, or more specifically the field service technicians, their supervisors, line managers, and even the customers. Understand their requirements, how they work, and tweak the suit to mirror the actual style of functioning. Any change for perceived improvements needs to be discussed and sold to the stakeholders up front. The best field service management suite integrates different components, such as contract management, scheduling, tracking, billing, reporting, and more. The very purpose of field service software is to make things easy and seamless, as the operations team juggles with such components. Among all components, a good field service management suite especially integrates collaboration, allowing technicians in the field to contact their supervisors or customers easily, without leaving the app. Import and export of data manually invariably lead to errors and mistakes, which an integrated collaboration component pre-empts. Facilitating seamless collaboration enables the technician to get in touch with the customer ahead of the visit for clarifications, contact a supervisor of the site to resolve some complexity rather than make a revisit, and more. More importantly, it leaves a reliable log, valuable for future reference and troubleshooting. 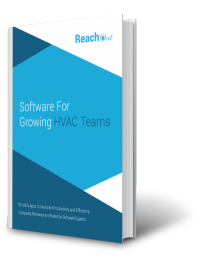 The size of the field service market is estimated to touch $4.45 billion by 2022, with the big growth driven by the fact a field service management software is now no longer a luxury, but an essential requirement for just about all business with operations outside a single location. However, unless the site is optimized and customized to gel in with the business operations, it will end up doing more harm than good. Make sure to partner with a competent technical partner who has walked the talk, and delivered intuitive and working field management suites for businesses.